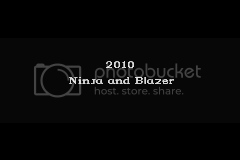 DH Ninja and I worked together on this hack. We are the main creators--however, other people in Team Justice have also contributed, such as Ace, who has done map sprites, and Nintenlord, who has helped with units. June 26th, 2010: It's confirmed that all characters in this game have already been introduced in existing Fire Emblem games. June 27th, 2010: New playable characters not ever playable in past official Fire Emblem games are confirmed. 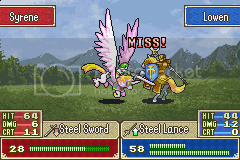 One such character is Gheb, from FE8. June 27th, 2010: A video was leaked onto youtube but later removed. However, it has been spoiled that the game is undoubtedly only one chapter. Hayden and Fado were shown. 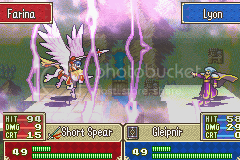 June 27th, 2010: Another video shows Dozla fighting Eirika, although it could likely be a test video where allegiances are temporary. Some other units are shown in the background map as well. June 28th, 2010: Plot information has been revealed. 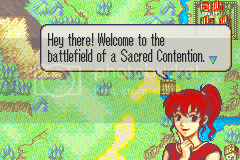 The game takes place on a new continent where an FE7 vs. FE8 war takes place. The game is set for a release on Thursday, July 1st, 2010. July 1st, 2010: The game was released late on this day. The game is complete and includes 4 alternate modes. July 2nd, 2010: A new patch with several issues fixed was released today. July 2nd, 2010: Even more updates to the game (nothing new, just fixes and the such). Hopefully this will be the final release. August 18th, 2011: A few very small fixes/updates. I guess my last release wasn't the last release after all. I just felt like updating this, for some reason. This game takes place on a remote island never introduced in any Fire Emblem game. 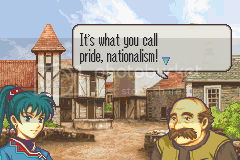 The characters of Elibe and Magvel have both gathered on this island to wage a war against each other, in order to see which of the people and games are better. 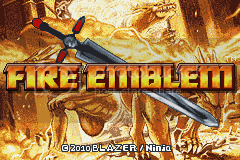 The Elibian characters are specifically from Fire Emblem 7: Blazing Sword, and NOT Fire Emblem: Fuuin no Tsurigi (Sealed Sword/Binding Blade). 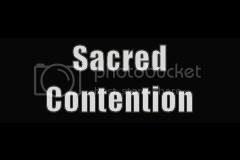 Thus the main characters of each side rally their former allies and enemies alike to face off against the people of another continent in a Sacred Contention. I will not answer certain questions nor will I confirm certain information. So if you try and guess what the game is about (if it's a sequel or what) I simply won't respond, whether your guess is right or wrong. I'm now open to questions and the such, although I may not be able to answer EVERYTHING, I should be able to answer most questions. Really, this hack looks promising. I'll tell you how it is tomorrow (I can't patch now). Wow, I just played this. Very well done! 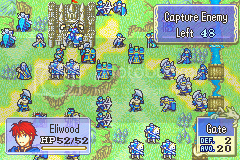 As a challenge, I will give major props to anyone who can play the game once, save their file, and then play again with their leftover units, on either mode (although doing it on FE7 mode will be MUCH harder). And you can't switch modes, i.e. 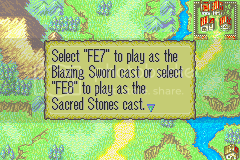 play as FE7, save, then play as FE8, or vice-versa. 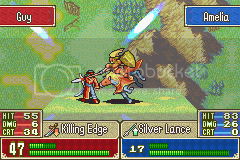 I killed Karel first (I'm with the FE8 team). Well, that was a fun match. 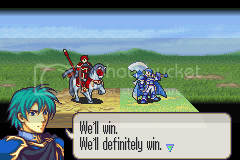 Played as FE7, myself. Kudos for getting all the jobs in there and having their sound work too. The shop glitch I know about and don't feel like fixing. It's more fun as you said. 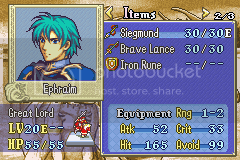 FE8 does have one more (I didn't count Dragonstones) but Excalibur is droppable. 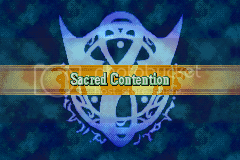 Also, FE7 has one more unit than FE8, not including the fact that there are two refreshers (Nils/Ninian, who can be abused...). @Queen_Elincia thanks, I hope you enjoy. ^lol yes if you REALLY want to abuse something like that then you can have fun. If you want to play the game fairly then have fun with that too. I just got done playing. This is the best single chapter hack I played. Marissa has such a high crit between Gerik and Tethys, it's really cheap. That was a lot of fun. Nice job. Most hacks set insane goals and then the guy working on it quits halfway through, it the progress goes so slowly it might as well have stopped. The goal of this hack is very simple, and because of that, it works out great. This was epic from beginning to end. Great trailer, too! 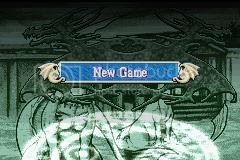 BTW, Tethys map sprite has problem. 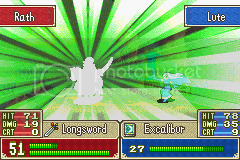 It changes to Ninian's map sprite. Hey, I'd just like to say I really enjoyed this hack. 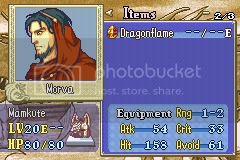 It's surprisingly balanced, as I think that FE8 has better overall units, but FE7 has some absolute unkillable gods. The really fun part is seeing the outcome of some matchups, though. My jaw hit the floor when Oswin got one rounded by Knoll and Marissa + Gerik & Tethys support was devilishly difficult to kill. Anyways, great job with it. It looks like it was a small job at a glance, but I can tell a ton of work must've gone into this. Thanks for uploading it, I really enjoyed it.